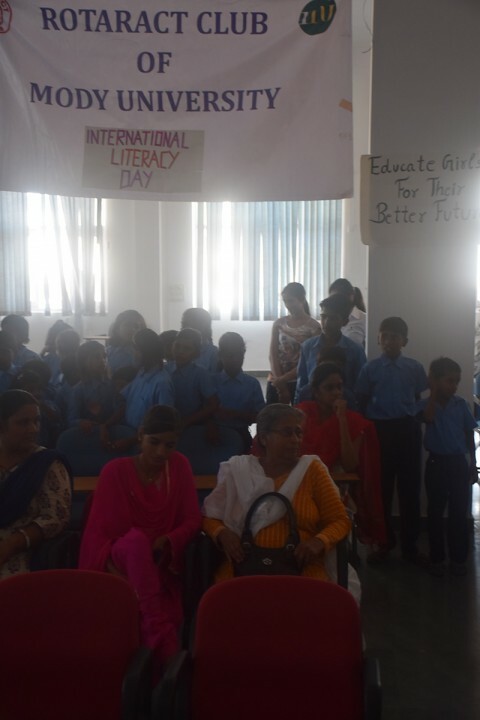 On September8, 2016, Rotaract Club of Mody University celebrated International Literacy Day at COBMEC. 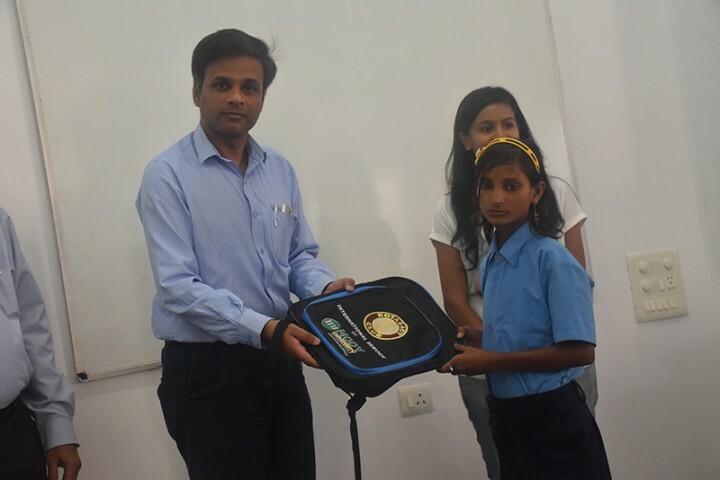 The students of ‘Baal Seva Sadan’ Lakshmangarh were invited to visit the campus. 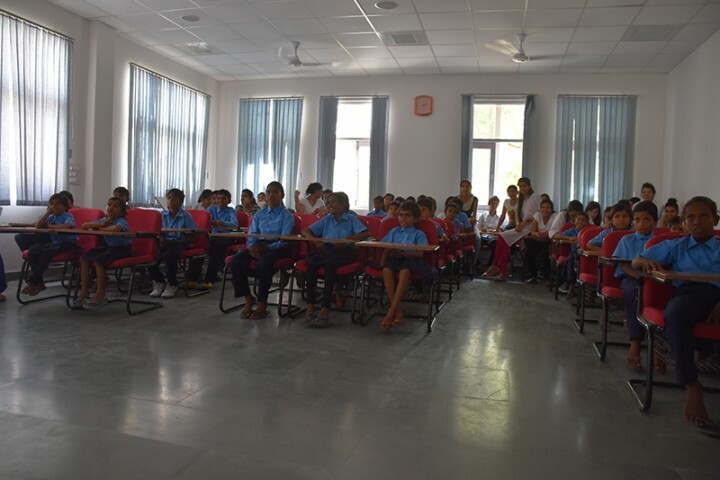 The students were shown various video in which the importance of education in life, health and cleanliness was high-lighted. 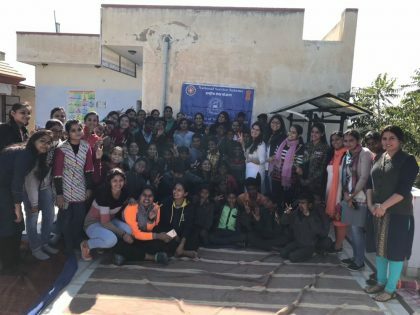 Different activities and competitions like dance competition, general awareness quizand games were organized in order to spread awareness about the importance of literacy among the students. 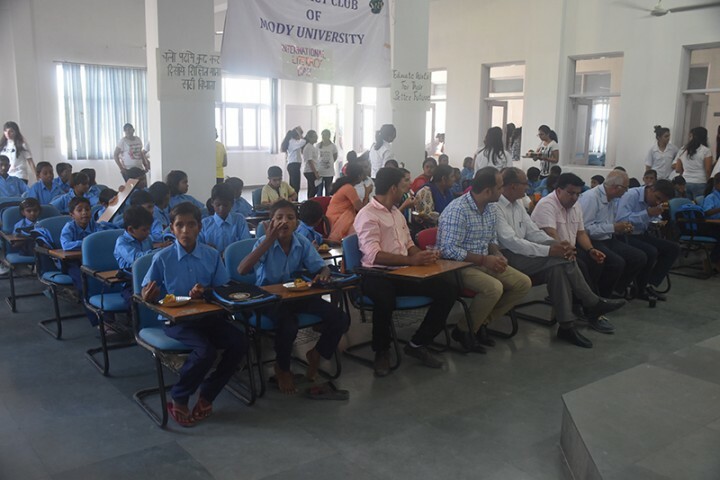 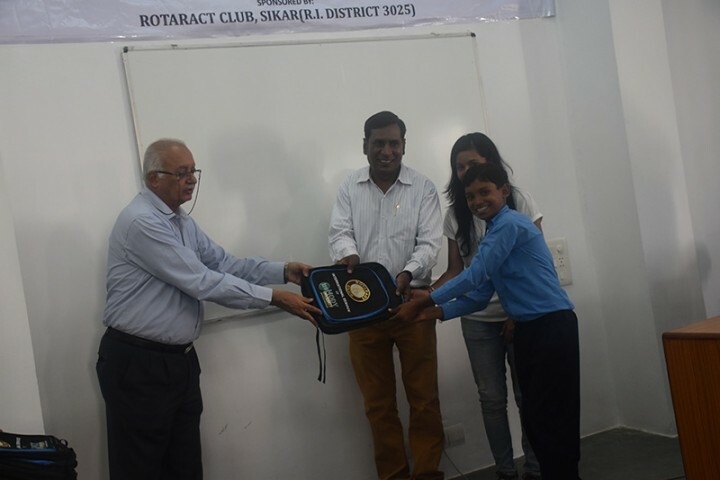 The school bags and prizes were distributed by Prof. Suresh Advani, President of Mody University, Prof. Sunil Jakhoria, Associate Dean and faculty members of COBMEC. The faculty co-ordinators, Dr. Sunita Verma and Dr. Ajay Verma,the office bearers and the members of rotaract club played an important role in successful execution of the event.